Junior League cookbooks are an American tradition. The Junior League of Birmingham has published three classic and collectible cookbooks: Magic, Food for Thought, and Tables of Content. 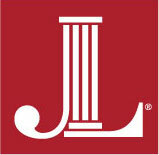 Proceeds from cookbook sales support the JLB’s community projects. Our most recent cookbook, TABLES OF CONTENT, is presented as a hardback coffee-table book, filled with gorgeous images of Birmingham and award-winning recipes. We are offering a limited-time offer on this book through the JLB Gift Shop: Purchase a case (6 cookbooks) of Tables of Content, in the JLB Gift Shop, for $75 — A savings of $105 off retail! Individual copies of Tables of Content are $15, a $15/book savings. 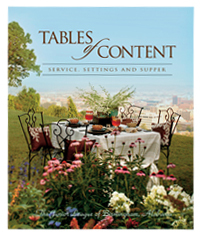 Or, you can purchase a copy of TABLES OF CONTENT online today by clicking here. MAGIC is the JLB’s first cookbook. It is out of print, but limited copies remain. This cookbook is packed full of those classic suppertime favorites that you won’t find anywhere else. Busy cooks appreciate the frequent ‘make ahead’ directions throughout. Color-coded meal sections along with a lay-flat spiral binding make finding and following a favorite recipe “like magic!” It has been a staple in our moms’ kitchens for years! FOOD FOR THOUGHT, the “official” cookbook of Birmingham, Ala. is a sumptuous medley of contemporary recipes and southern favorites. Each chapter opens with an essay from one of Birmingham’s celebrated authors interpreting his or her vision of “a taste of the South”. A cookbook for all the senses. Unfortunately, this cookbook is out of print, and we are out of stock. If you find one somewhere…lucky you! If you are missing a cookbook, please stop by the JLB Gift Shop to pick one up. The Gift Shop stocks JLB cookbooks as well as those from other Junior Leagues. Located just inside the front door of JLB Headquarters, the JLB Gift Shop is open Monday – Friday from 8 a.m. – 4 p.m. and on nights when large JLB Meetings or Special Events are held.